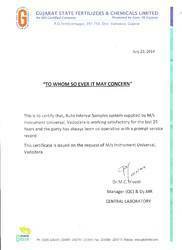 Our Automatic interval effluent samplers are working satisfactorily in GSFC since last 25 years. GSM based Street Light Monitoring and control system were installed in Pune Cantonment Board for the first time in India. And it worked satisfactorily till the contract ends. 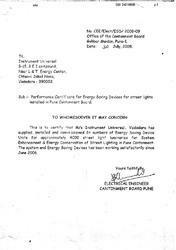 INSTRUMENTS UNIVERSAL was the first company in India to complete project of GSM based Street light controller successfully. 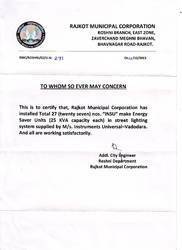 Astronomical Street light controller installed and working satisfactorily in Rajkot.